STOCKHOLM, Sweden -- Volvo will accelerate its promised shift toward electrified models by offering its new V60 with a choice of two plug-in hybrid powertrains. It is the first time Volvo has provided two plug-in hybrid options on a car underpinned by its Scaleable Product Architecture (SPA). Last year, Volvo promised to offer some form of electrification on every all-new model it launches starting in 2019. Volvo unveiled the second-generation V60 here today ahead of its public debut at the Geneva auto show next month. The premium midsize wagon will offer in Europe the automaker's new T6 Twin Engine plug-in hybrid that generates a combined 337 hp from its gasoline engine and electric motor. The second option is the T8 Twin Engine plug-in hybrid that delivers 386 hp. U.S. customers will be offered only the T8 plug-in hybrid. Both models come with all-wheel drive. 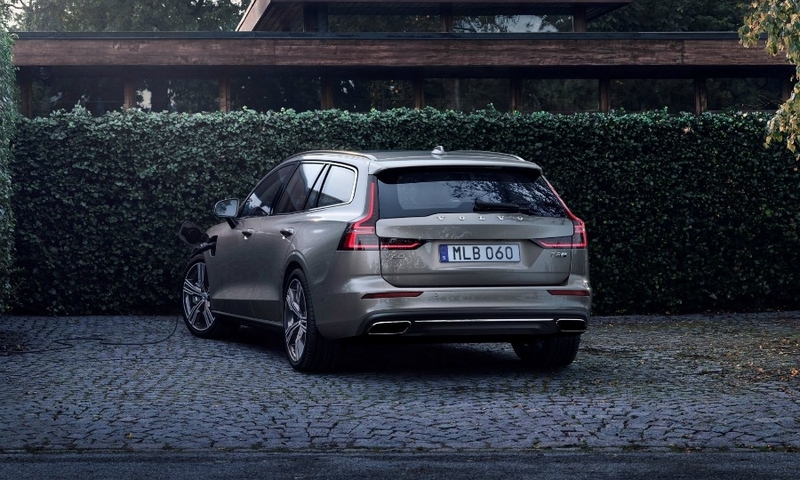 The plug-in hybrids represent a power upgrade for the V60 as the best performing base version of the current wagon is the T6 gasoline model that offers 302 hp. Volvo also offers a gasoline-powered Polestar variant of the previous-generation V60 that makes 362 hp. Industry watchers say Volvo's plug-in hybrids show that performance remains a crucial selling point in the premium midsize wagon sector. "It's not just about CO2 reduction. It's about performance, torque and being fun to drive," IHS Markit Principal Analyst Tim Urquhart said. "They will want to show that the electric strategy doesn't mean they are moving away from being sporty." Urquhart also believes that Volvo had its better-selling German rivals in mind when it was developing its plug-in powertrains in conjunction with a high-performance all-wheel-drive wagon. "They had Audi in their sights," he said. The performance variants of the Audi A4 Avant wagon, the S4 Avant and RS 4 Avant, make 348 hp and 444 hp, respectively. Currently, plug-in hybrids account for about 15 percent Volvo's sales in the models that offer the powertrain. 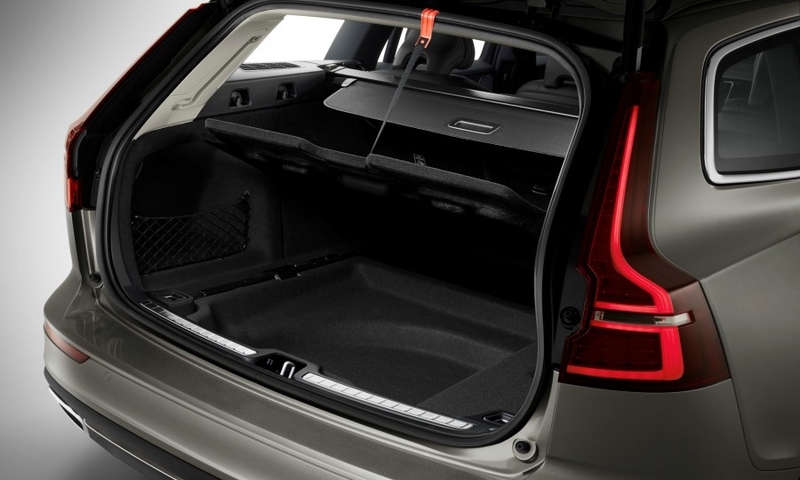 These include the XC60 and XC90 SUVs and the V90 station wagon. Volvo CEO Hakan Samuelsson expects plug-in hybrid variants to account for up to 25 percent of the V60's sales, he said during an interview with journalists on the sidelines of the wagon's launch today. He foresees a similar take rate for the other models that Volvo offers with the powertrain. The V60's European engine portfolio will also include a pair of gasoline and diesel engines with power ranging from 148 hp to 306 hp. Prices will start at 40,100 euros in Germany. Despite the V60's improved power output, Urquhart doesn't see it shaking up Europe's premium midsize wagon segment, which is dominated by the A4 Avant, Mercedes-Benz C-class wagon and BMW 3-series Touring. 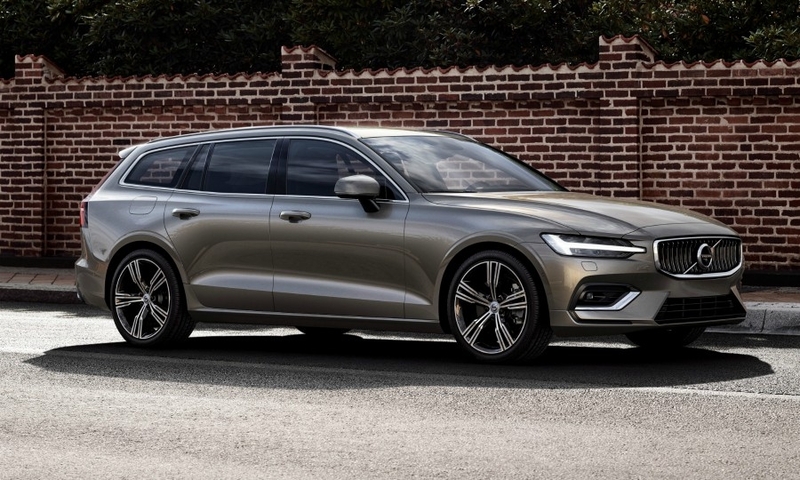 While IHS expects Volvo to increase its European sales of the V60 by 43 percent to 42,711 units in 2019, the wagon's first full year on the market, that would still leave it in a distant fourth place behind its German rivals, even though all three are expected to suffer sales declines in the segment that year (see chart, below). Urquhart said that the V60 does help Volvo by giving it a contender in a key part of the market. "It's about maintaining a presence and a share," he said. "If you want to be a legitimate contender in the premium sector you need a model in this segment." Overall, IHS forecasts Europe's premium midsize wagon segment to decline to less than 570,000 units by 2020 from about 634,500 last year. 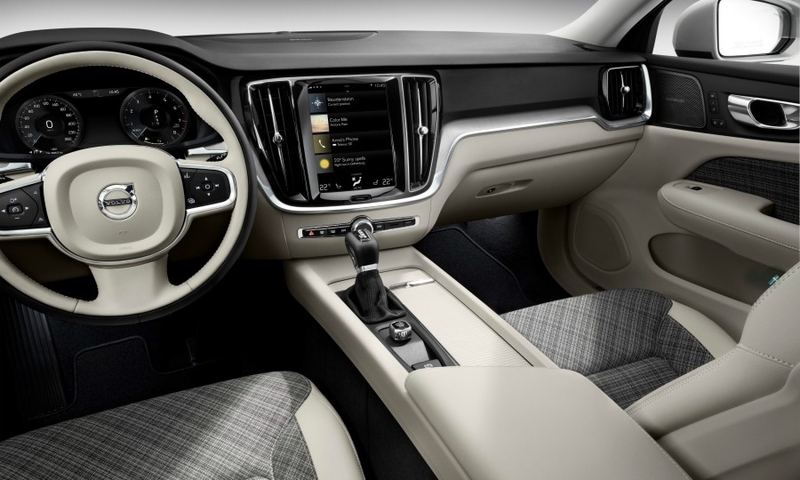 Volvo has given the second-generation V60 technology features that provide the driver with automatic steering assistance or support to help avoid potential collisions. One system includes steering help when automatic braking alone would not stop a collision with another vehicle, pedestrian or large animal. The V60 also has a system that helps drivers avoid collisions with vehicles in the oncoming lane. 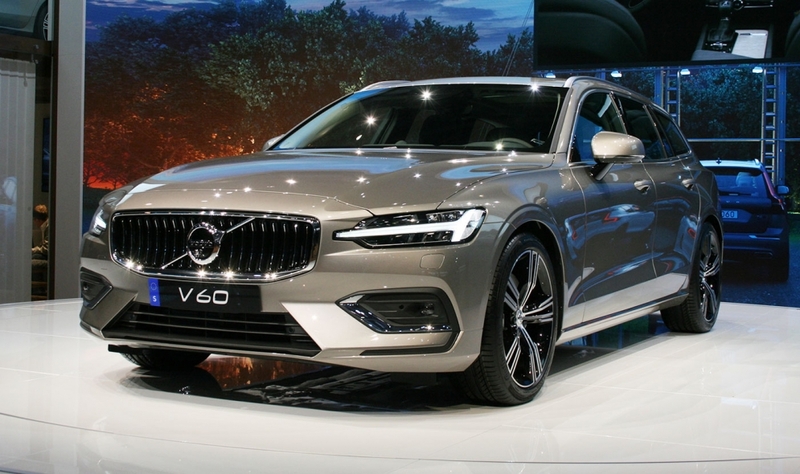 The new-generation V60 is 126mm longer (4761mm) and its wheelbase has increased to 2872mm from 2776mm compared with the model it will replace. The wagon's width has been reduced by 15mm (1850mm) and height has been cut by 56mm (1427mm). The V60's ground clearance has been trimmed to 128mm from 130mm. Volvo opened European orders today for the wagon, which will also be available through the company's Care by Volvo subscription scheme. The monthly rate for the V60 in Germany will be 849 euros. Samuelsson said that he expects subscriptions to account for 25 percent of Volvo's sales within five years. "If we don't have a quarter of our sales from subscriptions within five years then we have developed something that is not the right product," Samuelsson said. 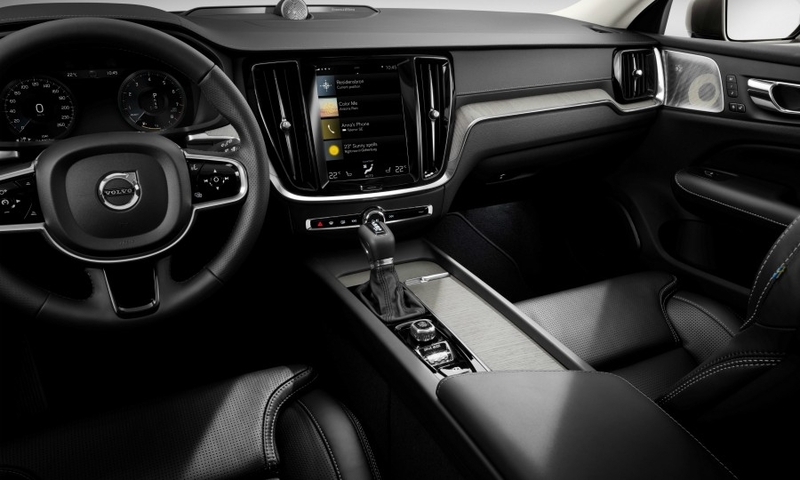 Orders in the U.S. and China will open later, Volvo said without being more specific. 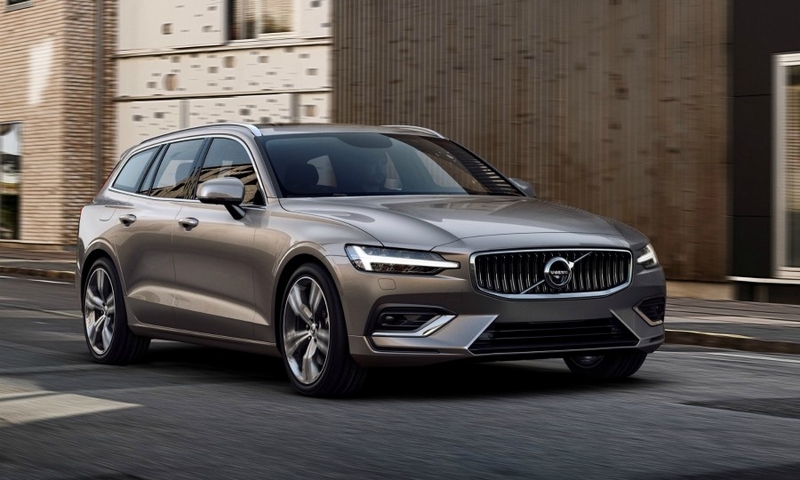 Production of the car will begin at Volvo's factory in Torslanda, Sweden, in May, r&d boss Henrik Green told ANE, adding that the automaker's factory in Ghent, Belgium, would also be equipped to handle some production of the new wagon if needed. 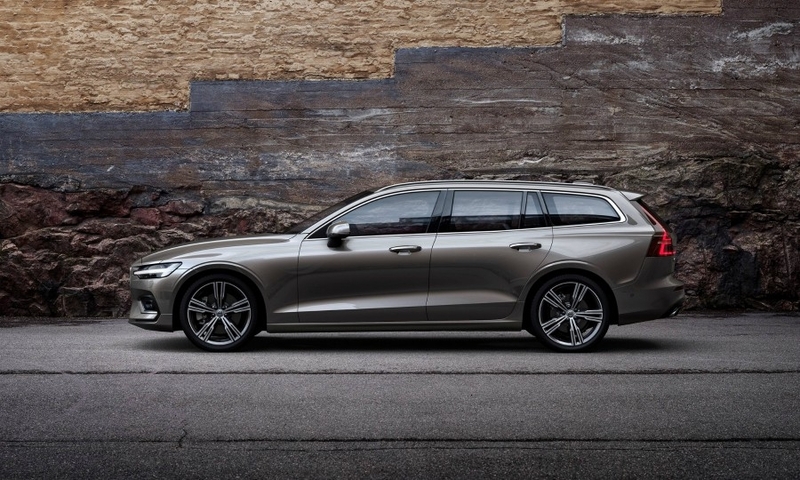 When asked whether the V60 could be added to Volvo's new U.S. plant in South Carolina, Samuelsson told ANE it would be technically possible because the wagon will share the SPA architecture and most of its parts with the S60 sedan, which will be the factory's inaugural model when it opens later this year. However, very low demand for wagons in the U.S. means that adding the V60 to the new plant would not make business sense, Samuelsson said. Volvo aims to increase its global sales to 800,000 by 2020 from 571,577 vehicles last year, which was a record. Volvo also increased its profit 28 percent to a new all-time high of 14.1 billion Swedish crowns ($1.74 billion) last year. The automaker has enjoyed a streak of success since being sold by Ford to China's Zhejiang Geely Holding in 2010.